Ian Lewis The Farnham Film Co.
Born in London, UK. In the last few years Julian's work has been getting attention, from award nominated films to international screenwriting awards. His characters are convincing and his hard work ethic shows true passion for his craft. Julian is a rising British screenwriter, filmmaker and actor who is definitely one to watch. With over 40 screen credits to his name, mostly leading roles, he's come a long way from treading the boards in the early 2000s at places like Putney Arts Theatre and Hampton Hill Playhouse. His method style of acting and powerful character presence are tools sharpened from years of experience in show business. 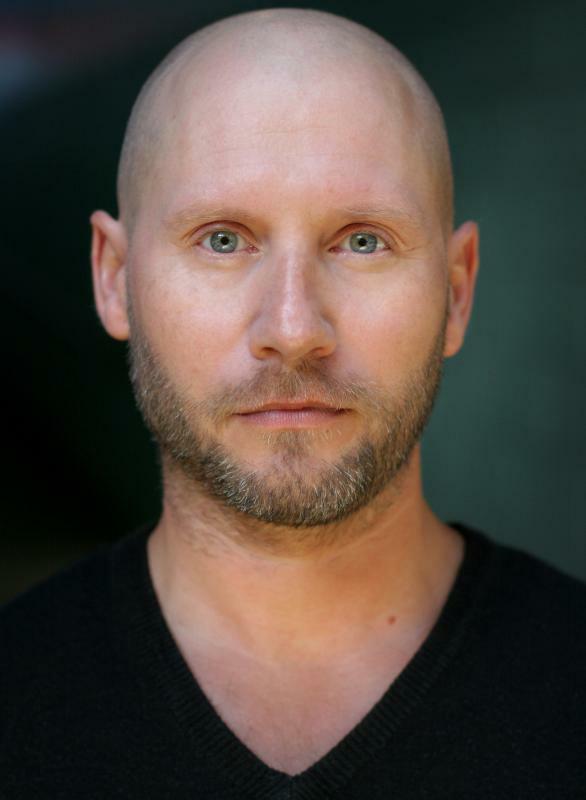 Originally set to play the protagonist, his 180 degree switch into antagonist has secured him powerful recent roles in films such as My Best Enemy, The Watcher Self and The Northern Paradigm. Julian's forte is writing and directing. Recent works including Birth Of Life, a multi award winning adventure drama. A Most Dangerous Child, a psychological thriller. And Bergamot Kills, a horror is in the works. He now owns Still Dreaming Films Ltd, a production company with the aim to make cinematic film. In the works is a diverse slate of film genres and an international television series. The vision for the company is to gain partnership with other professionals, particularly at grassroots level to help support rising creatives through investment and mentoring. The ultimate aim is distribution for mainstream cinema, alongside national and international television. Recent Award Wins/Nominations and lead roles: Birth Of Life - Sir Edmund Hillary Award Best Screenplay at Mountain Film Festival - Diamond Award Winner Best Screenplay at California Film Awards - Award of Merit at Headline International Film Festival - Finalist at Hollywood Screenplay Contest, IndustryBoost - Semi Finalist at Real Authors screenplay contest, Mediterranean Film Festival, Frame By Sound Festival - Official Selection for Best Screenplay at , Oaxaca Film Festival, Sunset Film Festival, Beverly Hills Film Festival, Los Angeles Lift Off, Hope Film Awards, Genre Celebration Festival, Wayfarer and Chhatrapati Shivaji film festivals. Eyes,Look Your Last. Mental Official Semi Finalist NYSIFF - Official Selection Erkhuleni International Film Festival and Barcelona Planet Film Festivals. The Northern Paradigm. Tesla. The Watcher Self - Official Finalist London Film Awards. Kid Gloves - Best Foreign Film finalist at Shadow Box Film Festival - Award Nominated five times and Winner Best Score,Outstanding Cast Performance runner up at AOF Festival. Give Me Fiction. This is Toby BFI film. Eggs. Lady Chatterley's Revenge. Last Night At Emilio's - Winner Award Of Excellence Vancouver Film Festival. The Owner - Winner most innovative film German IPTV Awards. Political Asylum - Winner Best Film 242 Italian Film Festival 2011. Solitude - Winter Film Awards-NYC - Las Vegas Indie Film Fest - Hollyshorts - Cannes. Letters - BFI Best Film award nominated. Tenants. Role of Richard in the worlds first TV to Iphone show (App-Media) drama series ‘Persona’ seasons 1+2.